Hey everyone! 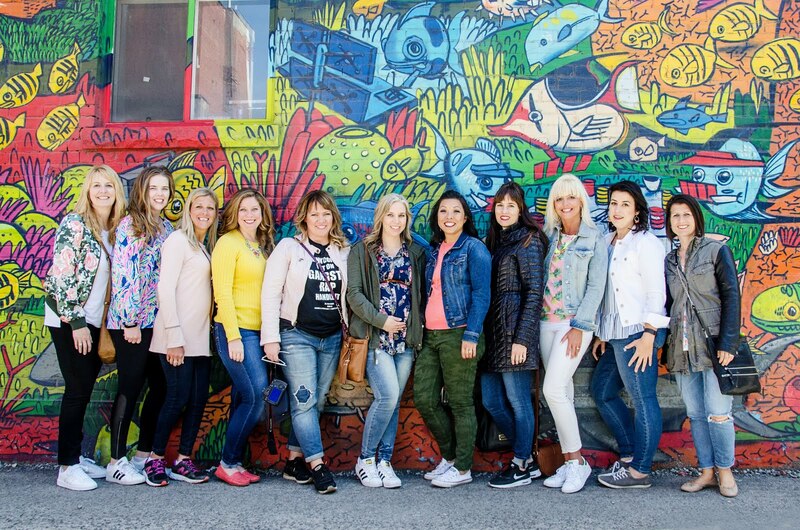 It's Carrie from A Stylish Fit and I'm here to share a favorite recipe of mine. So I think I should give you a little back story to this recipe. Several months ago I did a three day detox. I felt really great after the three days so I decided to continue on it for 21 days. I especially focused on removing dairy and grains from my daily diet. I removed most sugar too, except stevia. After those 21 days I began to realize that after I tried to reintroduce grains they really upset my digestive system. 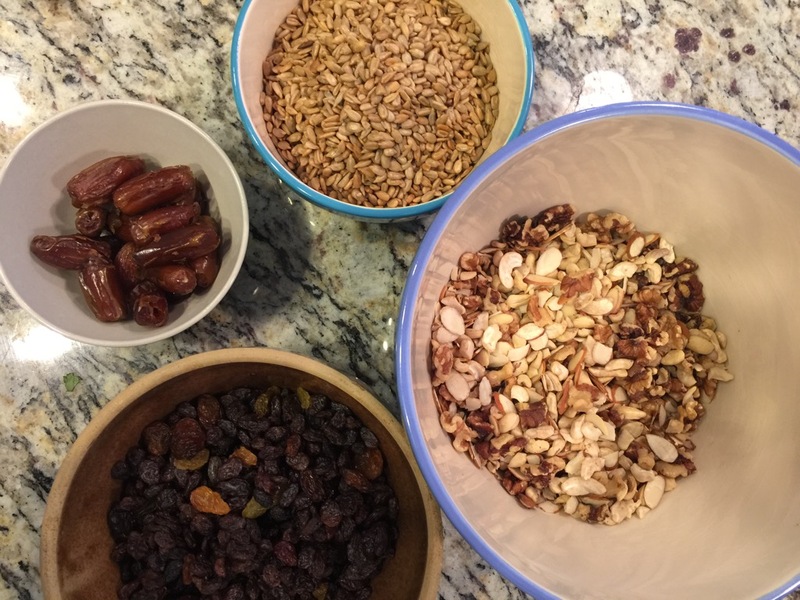 That little journey prompted me to start pinning Whole 30, Paleo and grain free recipes. Since I'm a little bit a snacker I wanted to try something that had some sweetness to it and would be grain free. 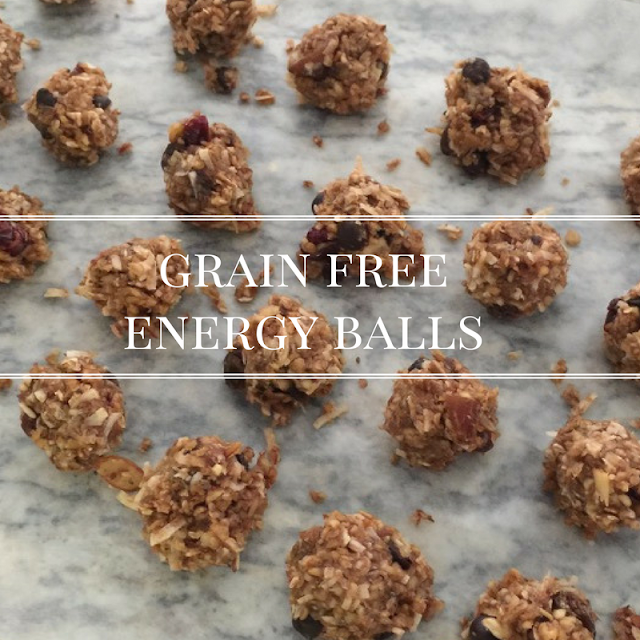 Enter Grain Free Energy Balls. 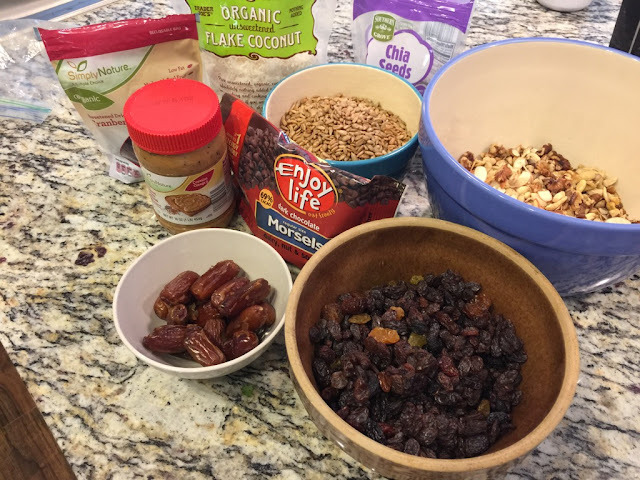 I found several recipes on Pinterest and from there I decided to mix it up a little and create my own version with what was in my pantry. Here's the ingredients that got me started. And by the way, don't be afraid to substitute and create your own version of a recipe. I do it all the time! I like to make things my own. 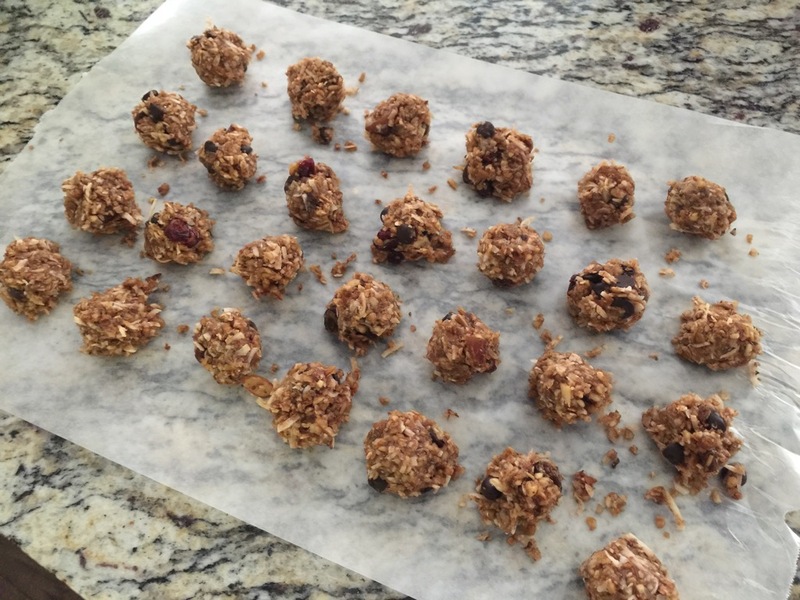 Lots of nuts in this little balls of deliciousness + some sweet with raisins, cranberries and dates. I cannot even tell you how much I LOVE dates! Just NO words! So what do you need to create these? 4 oz. mini chocolate chips (I used Enjoy Life brand. They are grain and dairy free but not mini). I love the nuts and seeds...they just look yummy to me. 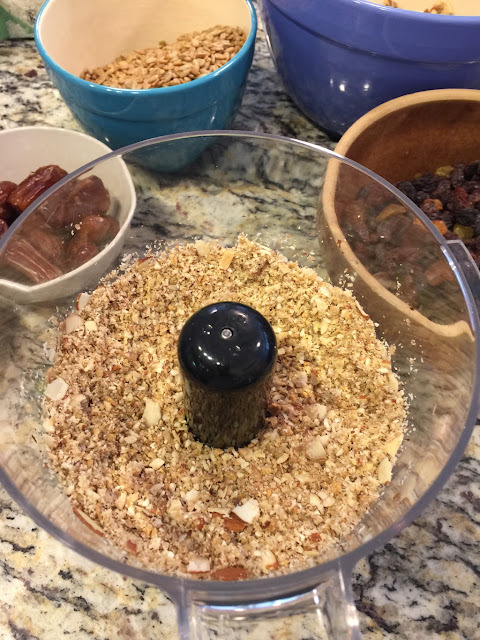 You'll need to grind up the nuts in a food processor. 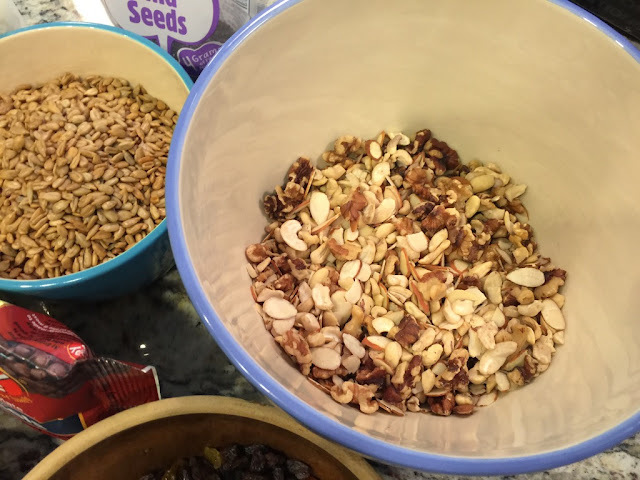 After the nuts are ground add the seeds and the fruity, sweet options. Mix all of those together. Now you need to mix and stir in the wet ingredient. Peanut butter! You could use almond, sunflower cashew butter instead. That is simply a taste preference. As you stir in the nut butter do it in 1/4 cup increments. You may not need all of it. It depends on preference here again. You will need enough to hold everything together without the balls being overly gooey. They should look like these after you roll them out. You do not want them to stick to the wax paper. Let them set up on the wax paper. I store mine in the refrigerator. Honestly, we went through this batch really quickly...like in less than a week. These are small and could make them larger if you prefer. The amounts of this recipe should yield around 40 balls. Maybe mine were too big. But they were yummy! Hope you try them! 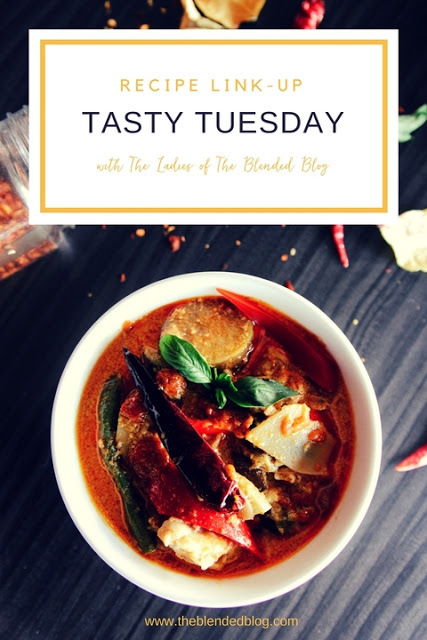 Be sure to link up your deliciousness with us this week for Tasty Tuesday.